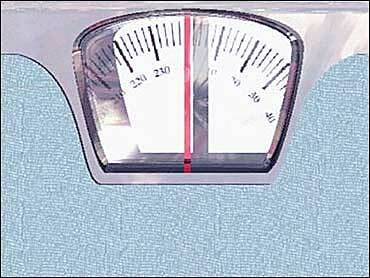 Skimping on sleep may mean greater weight gain for women. That's the finding of a study presented in San Diego at the American Thoracic Society's International Conference. Data came from 68,183 healthy women who took part in the Nurses' Health Study. The Nurses' Health study started in 1976, when women were 30-55 years old. In 1986, the women reported how much sleep they usually got per night. They reported their weight every two years for the next 16 years. Women who reported sleeping five or six hours per night gained more weight than those who got seven hours of nightly sleep, the study shows. The researchers included Sanjay Patel, M.D., of Cleveland's Case Western Reserve University. Other studies have also linked a good night's sleep to lighter bodies. But it's not always clear which comes first — healthy sleep habits or weight gain — or if people who get plenty of sleep at night have other factors that keep their weight lower. Over 16 years, women who reported sleeping five hours or less per night gained about 2.3 more pounds than those who slept seven hours per night. During the same period, women who got six hours of nightly sleep gained 1.5 more pounds than those who slept an extra hour per night. Major weight gain — about 33 pounds, in this case — was most common among women who reported sleeping five hours per night. Next came the six-hours-per-night group. What kept those women awake? Did their sleep habits change over time? How do sleep shortfalls affect women's weight? Do the results apply to men? The study doesn't answer those questions. But the researchers adjusted for factors including the women's age, BMI (body mass index) in 1986, physical activity, and dietary behaviors. "Short sleep duration is an independent predictor of future weight gain and incident obesity," write Patel and colleagues in their study's abstract. "Further research is needed to understand the mechanisms by which sleep duration may affect weight." SOURCES: American Thoracic Society International Conference, San Diego, May 19-24, 2006. WebMD Medical News: "Sleep Your Way to Weight Loss?" News release, American Thoracic Society.